(Washington, D.C.)—Is America heading towards fiscal and spiritual implosion? Two new national polls find the vast majority of Americans believe the U.S. is on the "wrong track." What's more, Americans' anxiety and pessimism about our nation's future is rising rapidly. The new WSJ/NBC News poll finds 78% say the U.S. is on the "wrong track," and only 14% say we're on the "right track." The new Rasmussen poll finds 76% of Americans believe the U.S. is on the wrong track, and 17% believe we're on the right track. 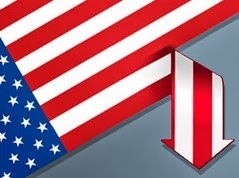 The Rasmussen survey notes that "the number of voters who believe the country is heading in the right direction has fallen 11 points over the past week to its lowest level in nearly two years." The survey also notes that "76% of voters think the country is heading down the wrong track, up 13 points from last week and the highest level of pessimism since November 2011." "The Wall Street Journal/NBC News survey of 800 adults conducted Oct. 7-9 found that 78 percent said that America was on the wrong track. That compared with 14 percent who responded that the nation was going in the right direction. What is stunning about these results is just how hard and how quickly public attitudes have landed on the shutdown,' said Peter Hart, a Democratic pollster who worked on the survey, told the Journal. 'Hart conducted the survey with another Democratic pollster, Fred Yang, and Republican pollster Bill McInturff. Hart noted that the survey underscored 'a broad disgust for the political system.'"